EN, ES, FR, DE, IT, NO, RU, GR. 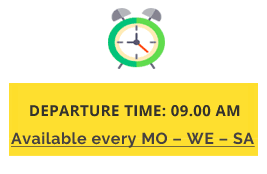 *The tour will only depart with a minimum of 4 participants. We require a minimum of 10 hours in advance to book this activity or for short term bookings, please call +306944597159 or +302821008695. Please arrive 15-20 minutes before your bike tour time. Hop on for a bike ride around Chania, discovering the beauty of the city on a 2-hour tour. The Old city & Harbor is full of monuments, beauty and culture. It’s an active way to discover the old city, as you bike explore, with an informative audio guide and a tour leader. Chania Old Town is the part of the city just behind the Venetian Harbor. A maze of small cobbled streets and alleys, the Old Town is the most vibrant part of the city, being full of people from all over the world day and night. 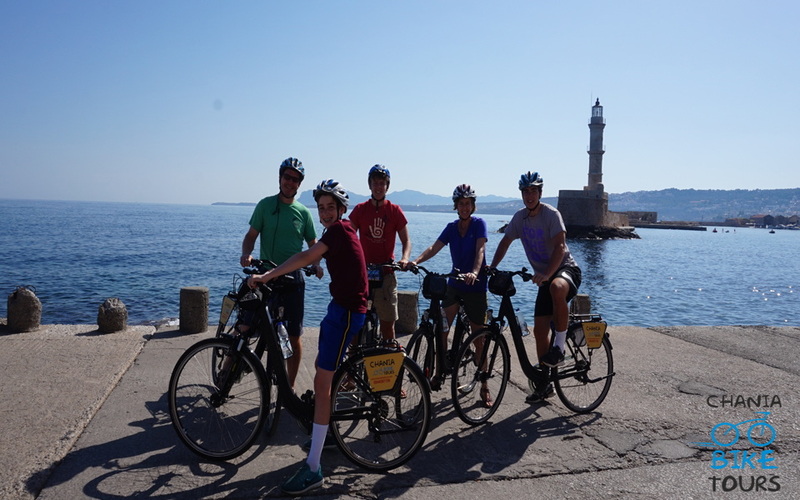 Get the best of your vacation in Chania with Chania Bike Tours and take your time to explore the hidden corners and charming shops of the Old Town of Chania. Here you will find some of the best taverns, restaurants, cafes, bars and handicrafts shops in Crete. Inside the Old Town, you will find many buildings with centuries of history behind them. Every corner of the Old Town is literally a place where something important happened in the city’s long history. If you want to go further than ancient Greek culture, a travel to Chania city in Crete will reward you in many ways. This charming city that most Greeks believe is the most beautiful city in Greece, is the ideal destination for your unforgettable vacations in Greece. The Municipal Market of Chania, The Cathedral of the Presentation of the Virgin Mary (Trimartiri), Franciscan Monastery of Aghios Fragkiskos, The Jewish Synagogue (or “Ovriaki”), The Venetian Walls, Nea Chora – The Beach of Chania, The Egyptian Lighthouse, The Navy Museum, The “Firka” Fortress, Giali Tzamisi, The Byzantine Wall, The Grand Arsenal, The Venetian “Neoria”, The Gate and Rampart Sabbionara, Koum Kapi, Splantzia, The Temple of Aghios Rokkos, The Dominican Temple of Aghios Nikolaos – Hiougkar Tzamisi (the Mosque of ‘Igemonas’), The Proto-Minoan Settlement of Kasteli, The Temple of Aghios Eleftherios. Meeting Point is the Segway Office located in 25, Chrisanthou Episkopou street, in Chania Old city. Please arrive 15 minutes before your bike tour time for bike, safety equipment and instructions. Exploring a destination by bicycle allows you to really experience a region and immerse yourself in the sights, sounds and scents of a place. 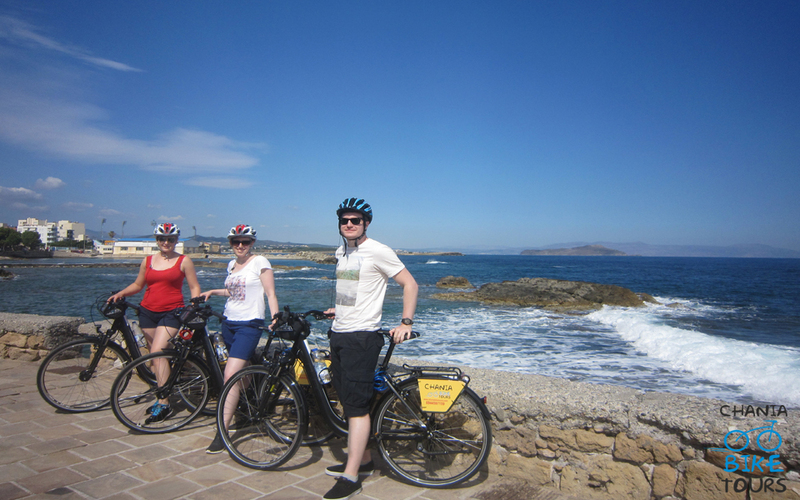 On Chania Bike Tours, we take care of all the details — all you have to do is pedal! Visit Chania Seagway Tours page for more info and tips around the city of Chania.